Tampa’s own David A. Straz, Jr. Center for the Performing Arts provides a fantastic venue to experience Broadway shows without having to travel to New York City. The 2014-2015 Bank of America Best of Broadway Tampa Bay season is filled with Tony Award-winners, hit songs, beloved stories and jaw-dropping spectacles. Rodgers and Hammerstein’s Cinderella, a contemporary take on the classic fairy tale, will be staged Tuesday, October 21 through Sunday, October 26. Be transported back to your childhood as you rediscover some of Rodgers and Hammerstein’s most beloved songs, including In My Own Little Corner, Impossible/It’s Possible and Ten Minutes Ago. The exciting worldwide sensation Dirty Dancing, with its heart pounding music, sensational dancing and passionate romance, will be in Tampa from Tuesday, December 2 through Sunday, December 7. 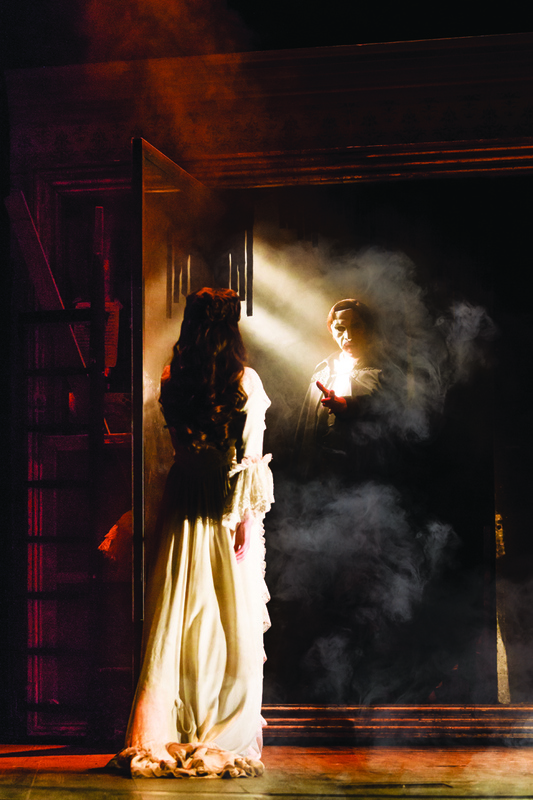 Just in time for the holidays, Cameron Mackintosh’s spectacular new production of Andrew Lloyd Webber’s The Phantom of the Opera will come to Tampa as a part of a brand new North American tour. The show will run from Wednesday, December 17 through Sunday, January 4, 2015. A new production of the world’s best loved musical and family favorite Annie will hit Tampa Tuesday, February 17 through Sunday, February 22, 2015. This production of Annie will be a brand new incarnation of the iconic original and includes such unforgettable songs as It’s the Hard Knock Life, Easy Street, I Don’t Need Anything But You, plus the eternal anthem of optimism, Tomorrow. The record-breaking smash hit Motown The Musical, will be in Tampa from Tuesday, March 17 through Sunday, March 22, 2015. Motown shattered barriers, shaped our lives and made us all move to the same beat. The show features classic songs such as My Girl and Ain’t No Mountain High Enough. This is your chance to experience the story behind the music. Pippin is back on Broadway for the first time since it thrilled audiences 40 years ago. The show which won the Tony Award for Best Musical Revival will be performed Tuesday, April 14 through Sunday, April 19, 2015. Pippin tells the story of a young prince on a death-defying journey to find meaning in his existence. Will he choose a happy but simple life? Or will he risk everything for a singular flash of glory? You will not want to miss the awe-inspiring feats of The Illusionists. The show will run from Tuesday, May 26 through Sunday, May 31, 2015. This mind-blowing spectacular showcases the jaw-dropping talents of seven of the most incredible illusionists on earth. The Straz Center will also present an encore engagement of the classic tale Disney’s Beauty and the Beast, presented by NETworks from Tuesday, May 5 through Sunday, May 10, 2015. This classic musical love story is filled with unforgettable characters, lavish sets and costumes, and dazzling production numbers including Be Our Guest and the beloved title song. 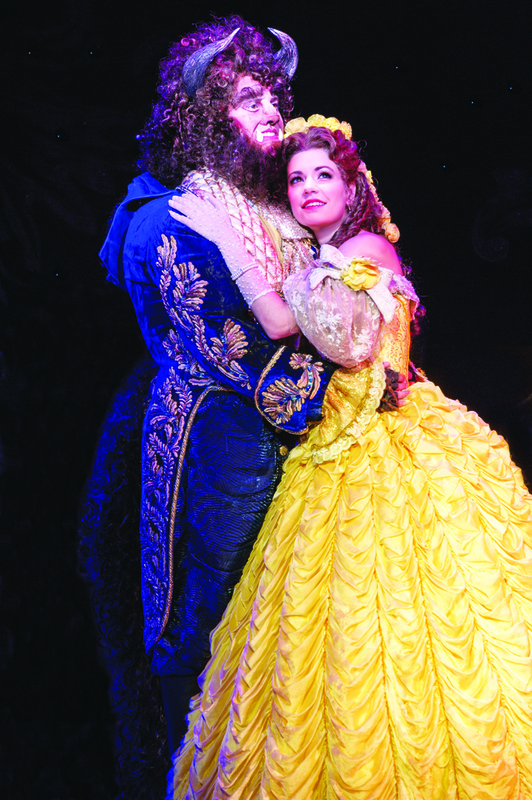 Experience the romance and enchantment of Disney’s Beauty and the Beast. The 2014-2015 Bank of America Best of Broadway Tampa Bay season is presented in the Straz Center’s acoustically perfect Carol Morsani Hall, the largest on the West coast of Florida with more than 2,600 seats. For more information, e-mail tickets@strazcenter.org, call 229-STAR (7827) or visit www.strazcenter.org. Group tickets are also on sale now and individual show tickets will go on sale at a later date to be announced.